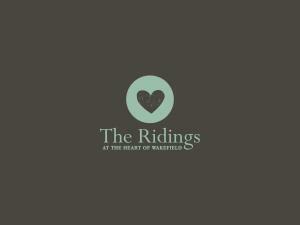 The Ridings01924 787787work Shopping CentreBased in the heart of Wakefield city centre, The Ridings Shopping Centre offers popular high street names, independent stores and a convenient, welcoming place to meet for a bite to eat or a coffee. With over 80 stores over three floors and open 7 days a week, The Ridings combines fashion, beauty, food and homeware - there’s something for everyone! The Garden Kitchen opened in December 2017 and offers a delicious range of fresh food and drink from independent outlets including Boss Hogs Burgers & Dogs, Woks Up Noodle Bar, Yorkshire Puddings & Pies, Fat Franks Tacos & Burritos and The Sweet Shack. Shop your favourite high street brands such as M&S, Boots, Primark, Morrisons and TK Maxx, then find something a little different in independently-owned stores like Created in Yorkshire, Artworld Gallery and The Wakefield Antiques & Collectables Centre. Enjoy one of the many fun, free events which are held regularly at the Centre, and with everything from craft fairs and style events to tea dances and kids’ character events, they’re suitable for all the family. There’s parking for 1000+ cars and a mobility centre, so getting to and around The Ridings has never been easier and since it’s all undercover, you can shop with ease, whatever the weather! Based in the heart of Wakefield city centre, The Ridings Shopping Centre offers popular high street names, independent stores and a convenient, welcoming place to meet for a bite to eat or a coffee. Opening times may vary between stores so please contact individual stores in advance. Follow signs for Wakefield city centre.